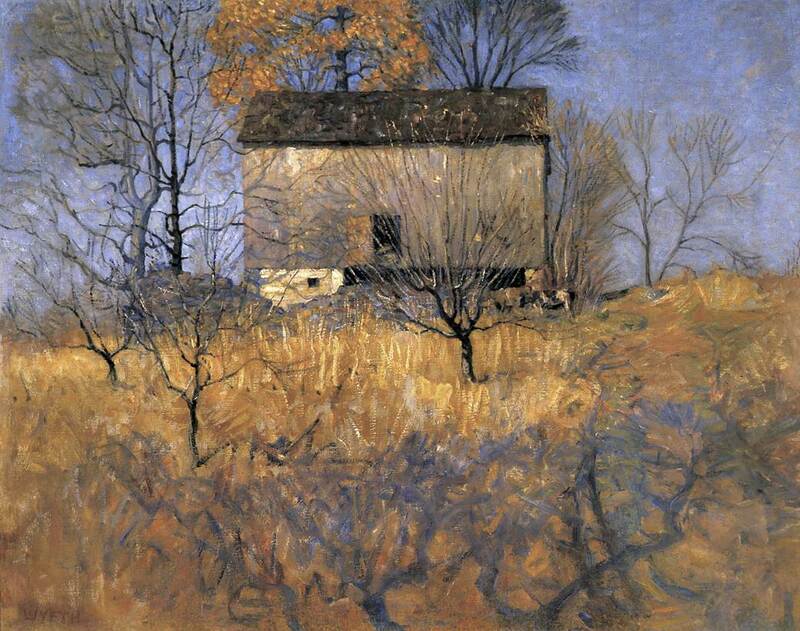 N. C. Wyeth (1882–1945), View of Barn Behind John Andress Farm, Chadds Ford, PA, ca. 1917 / 1921. Oil on canvas. What makes a really good antiques dealer? How would I recognize one? a person held to the highest standards of ethical business practices, who enjoys an excellent reputation in the field. Where can I meet one of these dealers? 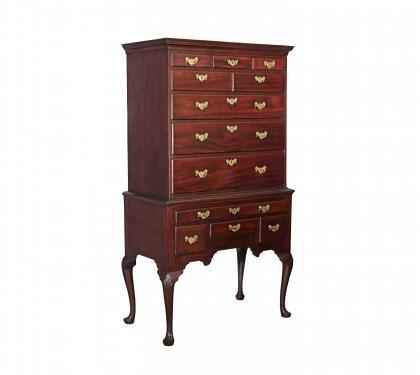 Queen Anne High Chest, Philadelphia, ca. 1750–60. Mahogany with brass. You will meet not just one, but 60 of these experts, all antiques dealers specifically invited to participate in the 50th Annual Delaware Antiques Show at the Wilmington Riverfront on November 8, 9, and 10. One measure of the show’s quality and success over the years is the consistency and loyalty of the dealers—some of the best in America and beyond. Many of them have participated for more than 20 years, ensuring that attendees are offered the best quality pieces from distinguished sellers. The Delaware Antiques Show is a treat for the eye, offers many lessons in history, and is a fantastic opportunity to purchase a treasured bit of the past. The show also offers attendees the opportunity to connect with experts in their field and learn about objects from the past. AND, you will probably meet your friends there, at least those with an eye for beauty and a sense of history or those looking for a few hours of real enjoyment. Charger, early 18th-century, England. Depicts King George II wearing his robes and carrying his orb and scepter. Join us November 8–10 at the Chase Center on the Riverfront in Wilmington, Delaware. For more information, visit winterthur.org/das or call 800.448.3883. This blog has been contributed by Harry E. Gordon, Jr., Chair – Gentleman’s Committee, Delaware Antiques Show. Harry Gordon is a longtime Delaware Antiques Show supporter and chair of the Gentleman’s Committee whose “longtime memory” seems to know no bounds! Harry and his wife, Jeanne, a Winterthur guide and chair of the Dealer Liaison Committee, have been involved with the show since 1988, representing a combined 50 years of service. The Delaware Antiques Show benefits educational programming at Winterthur. 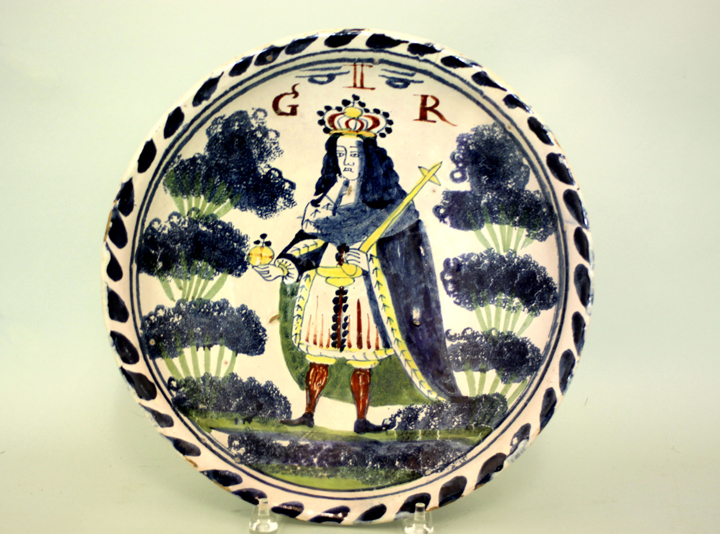 This entry was posted in Ceramics, Decorative Arts, Furniture, Glass, Metals, Prints, Photos & Drawings, Textiles and tagged #DAS, #DelawareAntiquesShow, antiques, Winterthur. Bookmark the permalink.